Can You Get Pulled Over for Having One Headlight Out? With one headlight burned out, it’s still possible to see and even drive, but any driving safety course would tell you that doing so is not only not advisable but also illegal. So while you might feel capable of navigating the roads with only one functioning headlight, remember that it’s not only dangerous but that it could also get you pulled over. What can happen if you get pulled over for having a headlight out? And how can you avoid it happening to you? In this article, we’ll answer both of those questions. In most states, it is required by law that headlights must be used from sunset to sunrise. Some states have even more specific regulations requiring headlights from 30 minutes after sunset until 30 minutes before sunrise. It’s also law that a motor vehicle (unless it’s a motorcycle) must have two headlights. Therefore, if you have a headlight burned out, it is possible (and likely even probable) that you’ll get pulled over. What happens if you get pulled over? If you get pulled over for having a headlight out and you as the driver were unaware, the officer will likely give you a simple notice to fix the violation. If you fix it quickly, you should be fine as long as you show proof of correction and pay around ten dollars to the court. If, on the other hand, you have been driving with one headlight out for an extended period of time without bothering to fix it, you can be given a notice not only to correct, but also to appear. This means that in addition to correcting the violation, you’ll also pay a larger fine and the violation may show up on your record. How can you avoid being pulled over for having one headlight out? 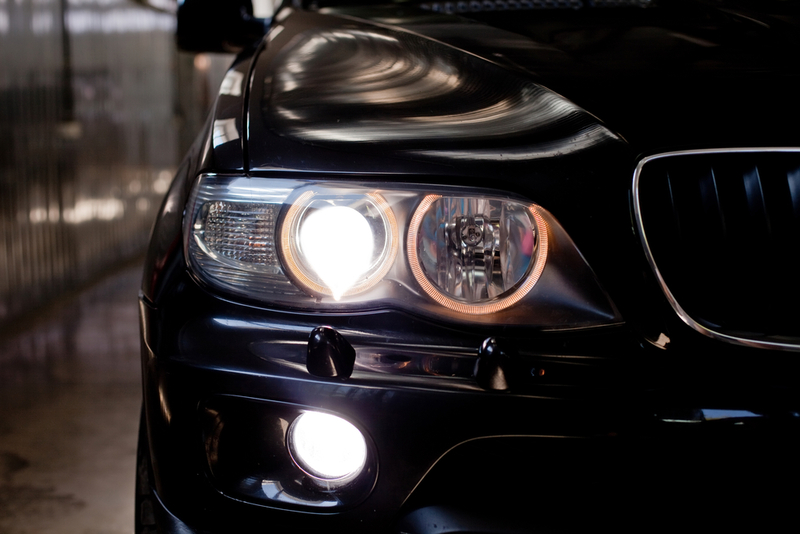 The best way to avoid being pulled over for having a headlight out is simply to never get on the road with a faulty or non-functioning headlight. That sounds like a no-brainer, but you would be surprised by how many people chance it. Before you head out to your next destination, take a few seconds to flick on your headlights and ensure neither one of them is burned out. Replacing a bulb can be relatively inexpensive, sometimes as cheap as fifteen dollars. If you do end up getting pulled over, it’s best to be honest with the officer. If you’re kind and honest, it’s more likely the officer will reciprocate. And if you’ve checked your headlights before your trip, you can be honest when you tell them that you didn’t know one of them was burned out. Above all, be sure that you always stay in touch with the safety-level of your vehicle. Take good care of it on and off the road. Remember to drive defensively so you can stay safe out there. A little bit of concerted effort can go a long way.